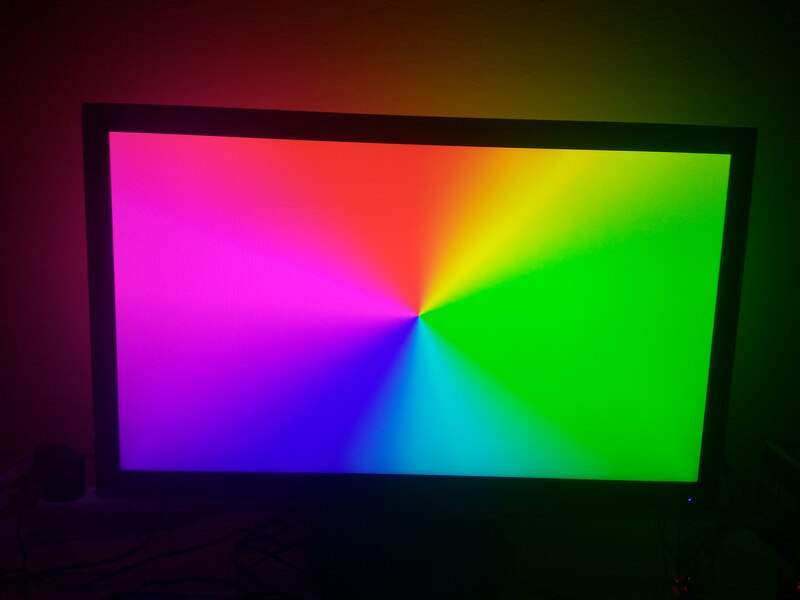 From the first time I saw ambient light on tv, I always wanted to do something like this. 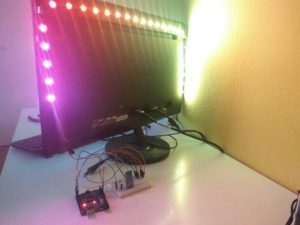 Luckily, components required to do your own ambient light are not expensive, and it requires a bit of IT thinking and problem solving. 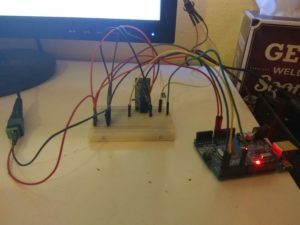 In this tutorial, I will try to describe you the whole process of making your own ambient light using arduino and bluetooth. 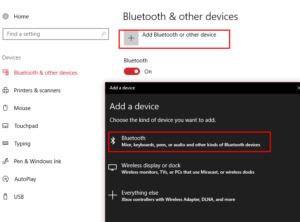 First, you need to configure your bluetooth receiver. 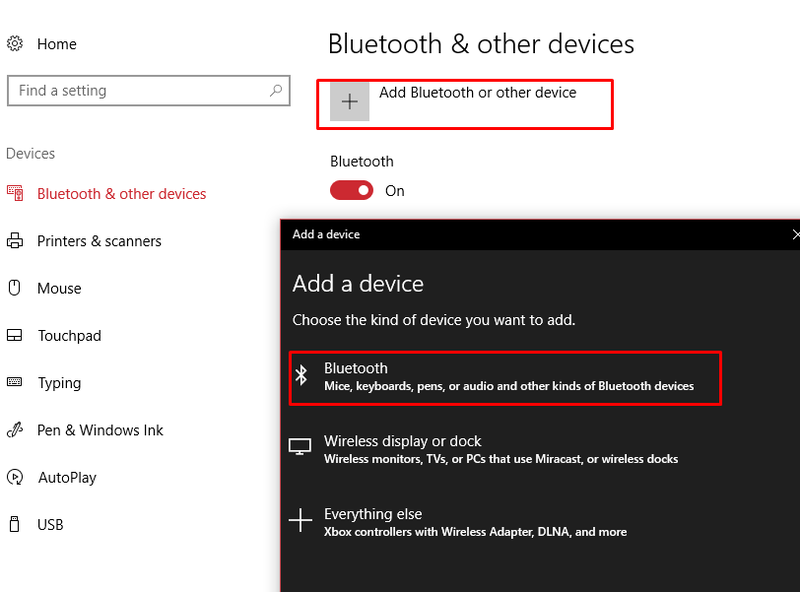 When you brought your bluetooth receiver, it has name like “HC-05”, password “1234” and low baud rate set to “38400”. We will change the name, password and baud rate for our purposes. In this part, you will need some basic soldering tools and skills. 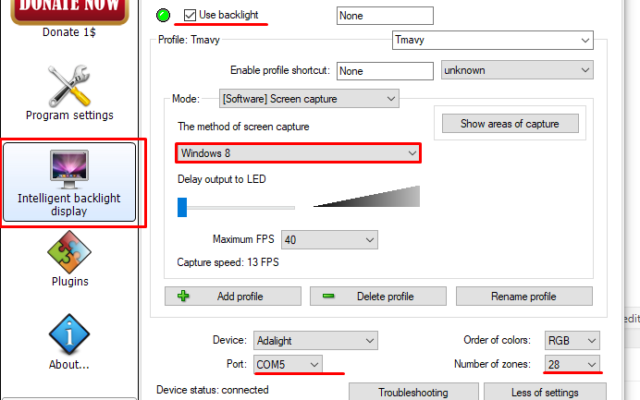 The main idea is to mount your LEDs to the back of your monitor. I have used 1m long strip with 30 WS2812b LEDs. You can get them from aliexpress or ebay, just type “ws2812b” in search. The price is around 5-10$. When you will be buying your LEDs, do not forget to buy appropriate power source. 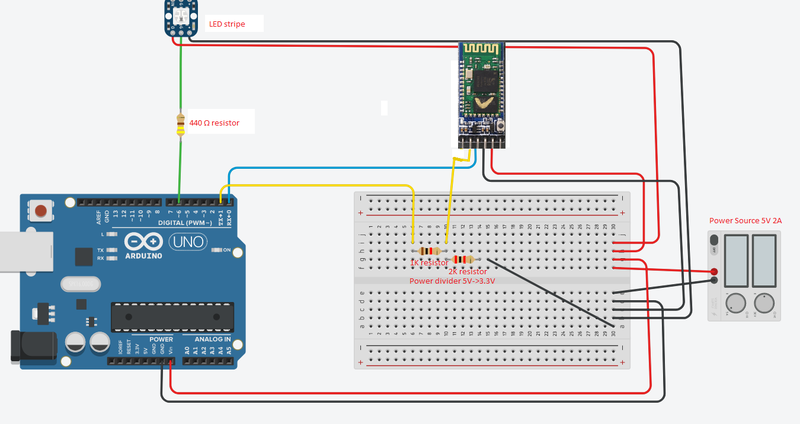 The 1m LED stripe with 30 LEDs must have 5V voltage and approx 2A current. 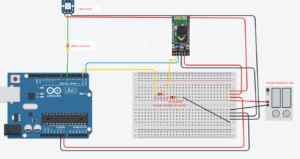 With 60 LEDs you will need roughly 5V and 4A power source. 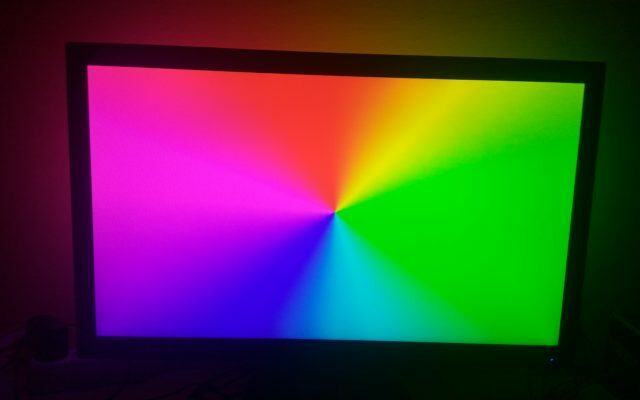 My LED stripe come with sticky label on its back, so I basically cut the stripe into 3 pieces, stick them to the sides of my monitor and soldered them together. 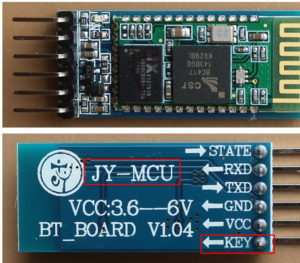 Now you need to pair HC-05 module with windows. 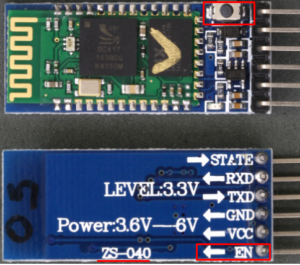 The circuit must be enabled, so the bluetooth module will be active. 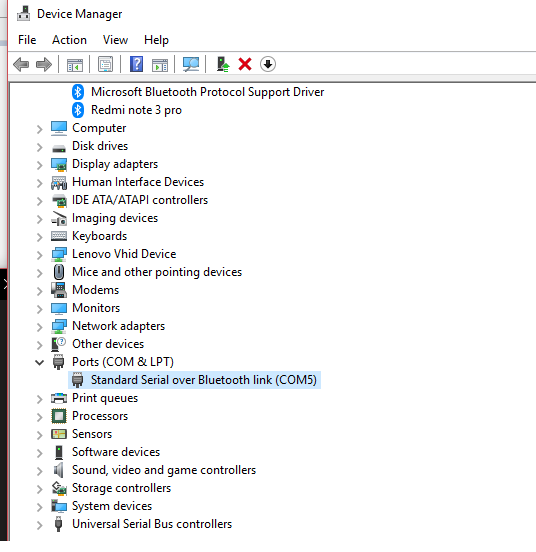 After pairing, find COM port of this device in Device Manager. 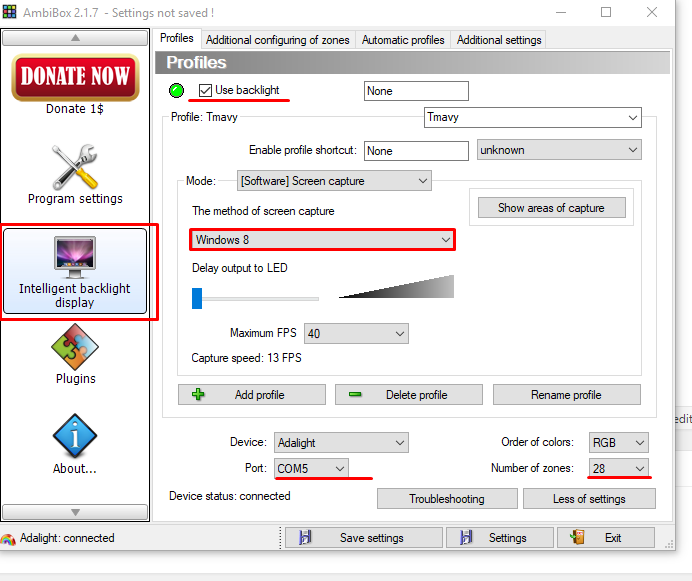 Ambibox supports configuration of zones, so you can configure particular zones for your case. 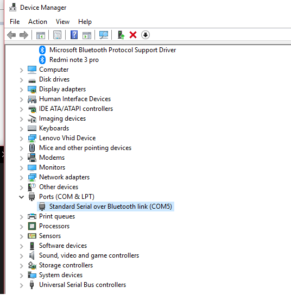 Now you should have your arduino disconnected from pc and receiving data over bluetooth 🙂 .